I’m back from London, where I spent a lovely and amazing trip and where I had the pleasure of meeting up with my friend from the blogosphere Elaine, from Foodbod. It was great fun to meet, a rainy day (London weather of course). 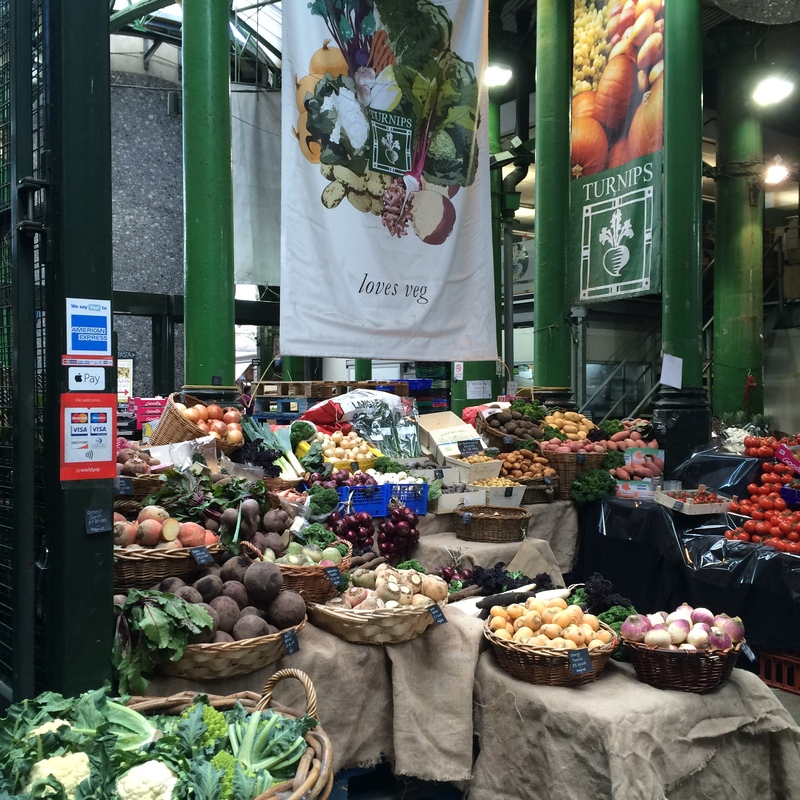 We chatted and shared tips (on what to visit, eat and where to go). I really appreciate her friendly company and for taking the time to meet up with me, thanks to a lot Elaine! Now I’m back home and have a sweet surprise for Fiesta Friday #115, where I’m bringing Bambolini, the yummy Italian Beignet/Doughnut. Made with a sweet dough, fried and rolled in sugar or very often filled with jam, these Italian Doughnuts were always on sale at the beaches in Algeria and at fairgrounds. I remember eating them in the evening and watching the sunset before going home with my cousins during the summertime! Thank you to our host Angie, and to our wonderful co-host’s for this week Julie @ Hostess At Heart and Ashley @ Too Zesty! Caster sugar for the decoration. Start to mix all the ingredients with the hook of your stand mixer on a low-speed. Add the eggs at the same time and now mix on a medium speed. Pour the milk and continue to mix. Finally, add the butter (cut into small cubes) and mix on a high-speed until the dough becomes smooth and detaches from the bowl. Cover with a plastic wrap and set aside in a warm place for 1 hour. After 1 hour, refrigerate for 3 hours. Remove the bowl from the refrigerator and transfer the dough onto a floured surface. Flatten the dough and use a round metal circle cookie cutter to make your bombolini. Flour a large baking tray and transfer the bombolini on the tray. Let the dough rise for a good two hours. Fry the bombolini one by one in the hot oil. Remove from the pan when they are golden brown on both sides and put them into a colander. Roll the bombolini in sugar and serve with a strong coffee. PS: If you use dry yeast follow the instructions behind your package! These beignets look delightful…one day i will venture into trying to make them myself 🙂 lovely post and enjoy your weekend. On dirait que tu as quand même eu quelques belles journées de soleil ! Tes beignets ont l’air délicieux et délicatement parfumés, un vrai délice ! How wonderful that you were able to meet up with Elaine! I’m sure you had a wonderful time. Your photos, especially that bread look amazing. I love beignets, but have never had an Italian beignet. I need to figure out where to get some fresh yeast. I would love a couple of these with my morning coffee! I know, it was a very agreeable day. Blogging is a nice community to meet fantastic people! I love this tip! I’ll have to get some fresh for sure. I love hosting and wish I could do it more often. Delicious looking beignets and beautiful pictures Linda. I am sure you people had a wonderful time meeting up. How wonderful that you met up with Elaine. I will be in London this summer visiting my family, and Elaine and I are kinda talking about perhaps a meet up. Not sure if it will be feasible though as there’s just so many folks to visit whenever I go to England. So glad you were able to though. Your beignets look amazing. I had no idea that Italians had beignets as well. It looks just gorgeous! Love those doughnuts Linda, they look incredibly delicious. How wonderful that you met Elaine, she is wonderful. I would love to meet you both one day. Linda, your bombolinis look amazingly delectable. I love them! Aww, you and Elaine got to spend time together!! Love it!! Takes me back. My Italian grandmother made these all the time. Nadia, I’m so glad that beignets reminded you of your Grandma’s recipe! What fun – I love meeting other bloggers! My daughter lived in London for four years and boy did I visit a lot! Such a great foodie city!!! It was my real first trip in London. I really enjoyed meeting Elaine and discovering the city too! 🙂 I agree with you a superb foodie city! Must be hard to stop at just one of these Linda! 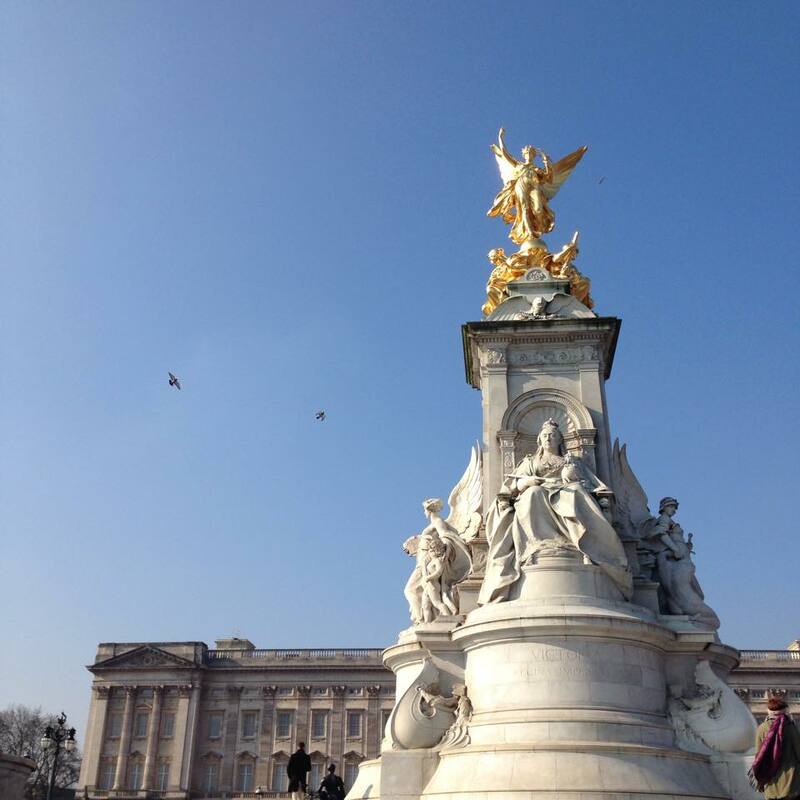 😍 So fabulous that you were able to spend the day with Elaine in London… it’s a city I’d love to explore a lot more. 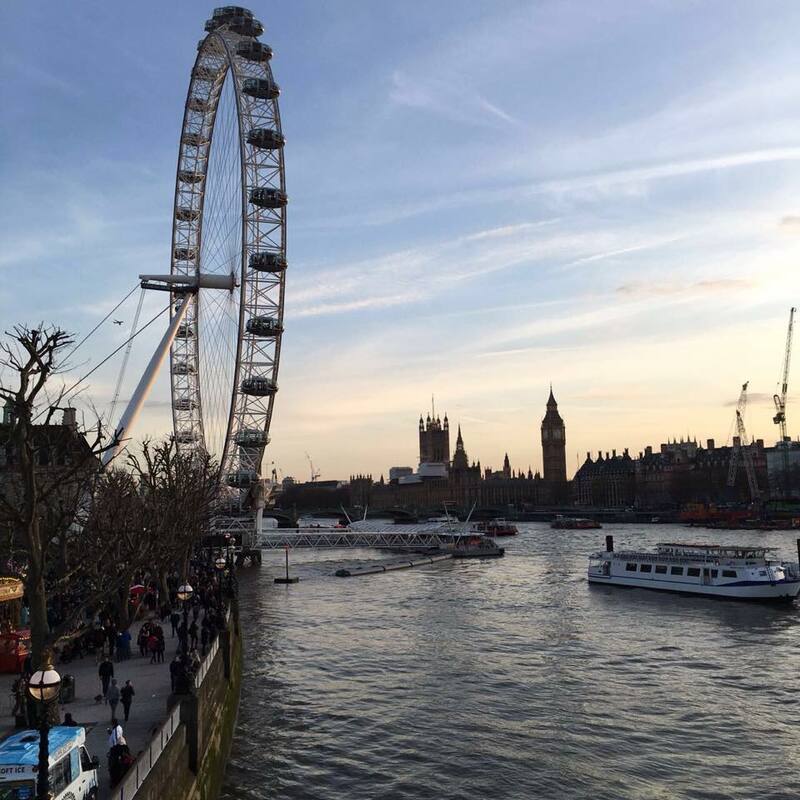 Your photos from London look great – you had some nice weather, at least! And your beignets look fabulous. Wonderful photos of London and mouthwatering bombolini, can’t wait to try them when the sugar ban is over! Such lovely photos, Linda, and your bambolini look so incredibly delicious! 🙂 So glad you enjoyed your trip! I am very delighted to know about your meet up with Elaine, Linda. You are both amazing! And I would love some of these with my coffee! 😀 I hope you are having a great week. Happy FF! Hugs! Pure goodness, Linda! You’ve brought back lovely memories of eating warm bambolini, on a brisk Spring day, while strolling the streets of Lucca, Italy. ❤ Thank you!! I'm so happy to hear you and Elaine were able to meet. It's so special to meet our virtual friends in person! Wow those beignets look absolutely fabulous!! Yum! You have induced cravings!! Drat that it’s very late – much too late to cook, or I’d be making these right now! What luscious photos! I feel at home today… I love this post, and of course I love the bomboloni too! Hey Linda, these bombolinis look delectable! I am so sure I won’t be able to stop at one 🙂 Fabulous pictures of London too! Thank you so much for your lovely comment, I really appreciate it.